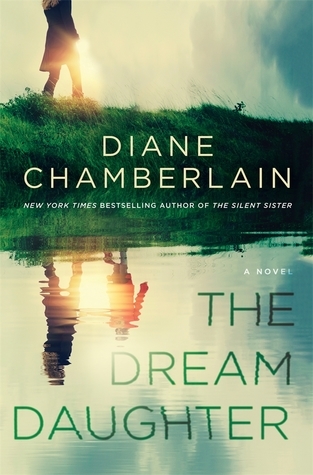 Kudos to Diane Chamberlain, Author of “The Dream Daughter ” for writing such a unique, captivating, intense, intriguing, riveting, unusual, time-changing, page turner. There are many layers in this novel. The Genres for “The Dream Daughter” are Fiction, Science-Fiction, Mystery and Suspense. The time-line for the events and characters is different and changing. Diane Chamberlain vividly describes the time-changing events and history and her colorful cast of characters. I loved everything about this book. This story reminds me of “Back to the Future” and the “Time Machine. I could visualize this being a screen play , movie or a series. The author describes her characters as complex and complicated , possibly dictated by the events and circumstances in this story. We meet Caroline, a young physical therapist who is treating her first patient, Hunter, who appears quirky, full of secrets and surprises. Caroline is surprised to hear Hunter singing a new Beatles song that has never been heard before. Caroline introduces Hunter to her sister and they marry. A short while later Caroline marries, and is devastated when she is told her husband was killed in Vietnam. Caroline is pregnant, and Hunter and her sister accompany her to physicians to check on her baby, when other doctors feel something is wrong. These doctors confirm in the year 1970 that Caroline’s unborn baby has a severe heart defect and won’t make it. Hunter takes Caroline aside and offers a strange and unbelievable way to possibly save the baby. It involves Caroline having strength and faith to make a decision that could be dangerous. What will a mother’s love allow Caroline to do? There are twists and turns and ups and downs in this novel. This is a marriage of faith and science. Diane Chamberlain eloquently describes a mother’s love, emotional support, hope and faith. I would highly recommend this novel to readers who appreciate a story that makes you think and ponder after you read it. I received an ARC from NetGalley for my honest review. This is one of my top 5 books of 2018 so far! Loved it! I loved this also !! I agree with your review! I loved this book!